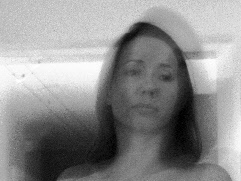 The North East Photography Network and Berwick Film & Media Arts Festival have announced that Mishka Henner and David Oates (known collectively as BlackLab) have been awarded a funded commission to create a new work for this year’s Festival, which runs 19th – 23rd September 2012. BlackLab were selected from an extremely competitive field of over 100 applications from as far afield as Bangladesh and New Zealand and from across Europe and the UK, responding to the Festival’s theme for this year, Pictures in Motion, which explores the relationship between the still image and the moving image, with most applications coming from artists working across both photography and film. The newly commissioned 15-min film will consider the nostalgic idea of the photographer as recorded in stills, literature, moving images, documentaries and archive footage and questions whether the role of the photographer will become redundant in a society where CCTV and mass observation are becoming the norm. Throughout the run of the Festival the work will be installed at Shoregate Icehouse in Berwick, while a one-off World Premiere screening will also take place at The Maltings Theatre & Cinema. The full Festival programme will be announced on 17th August. Notting Hill Art Roundtable. £5 if you’re quick. On Monday 28th May (6.30-9.00pm) the Be Smart About Art Academy presents a round table where artists from a variety of backgrounds will share their personal experience in making a living from their art. Be Smart about Art will collaborate for this event with FACK Artists, a forum for visual artists that intends to create a community for artists and a platform for discussion and debate. The venue is in Notting Hill, Latimer Road’s Studio Building. Be Smart About Art Academy founder Susan Mumford will moderate the session and will share her own insights from her experience as gallerist and artist advisor. Artists in the panel will include Marcus McAllister and Helen Brough. Have you ever wondered how electricity could make you feel happy? This may not be quite like anything you will have heard (or seen) before. You are going to be taken into the Ethometric Museum, a gallery of amazing electrical curiosities. Inside you will bathe in the resonant Ethometric waves of the ‘Sonionic Analyser’, watch as the ‘Multiwave Oscillethergraph Generator’ begins to spin, and contemplate the mysteries of the ‘Ethomagnetrons’. Each machine emits specific harmonic frequencies and through their precise manipulation the skilled operator will realign your ‘super-electrical field’. You will feel happy. Ethometric Museum is an immersive journey into a hypnotic and mesmerising world. New dance theatre company Nyctolopic comes to the Brighton Fringe after a successful London debut. Nyctolopic presents The City Will Crumble, a new dance theatre piece with original music, at The Warren, Russell Place, Brighton, 8th and 9th May 2012, 7pm. 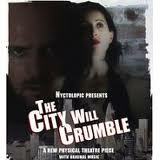 The City Will Crumble is a full-length dance-theatre piece that describes the reaction to a great socio-economic shock: film noir as a reflection of the Great Depression and its aftermath. We live in times with strong parallels to that earlier era – most obviously a devastating economic crash. Then and now, breathtaking technological changes seem to offer great opportunities but at the same wear down honest human relations. Prosperity for the few masks a lack of consent and the vulnerability of those at the bottom. Faith in progress gives way to powerlessness in the face of a social system whose efficiency depends on making the mass of individuals replaceable, insignificant, and, therefore, disposable. This work adapts – in original stage movement and music – the aesthetic, psychological and narrative elements of film noir to tell the story of a dark city in 2012. In conjunction with the current exhibition Lines of Thought, Parasol unit presents moving image works exploring ‘line’ from the 1970’s to the present day. Part one investigates geographical and political borders and boundaries, works include Francis Alÿs’ Painting/Retoque, 2008; Mona Hatoum’s Measures of Distance, 1988; On the stage, 2010 by Özlem Günyol & Mustafa Kunt and John Smith’s Flag Mountain, 2010. Continuing along this theme, Part two introduces works shot on 16mm where line is used to explore space, time and the materiality of film. Works include Mirza & Butler’s, The Space Between, 2005; Len Lye’s Free Radicals, 1979 and Margaret Tait’s Colour Poems, 1974, the latter two works employ the experimental technique of scratched celluloid to heighten the visibility of the medium. You are currently browsing the archives for the art category.